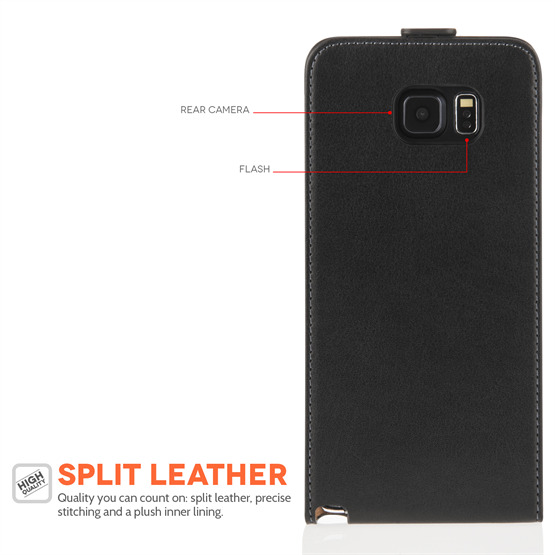 Manufactured from genuine, high-quality leather, this Samsung Galaxy Note 5 Real Leather Flip Case offers a premium way of protecting your device at an affordable price. 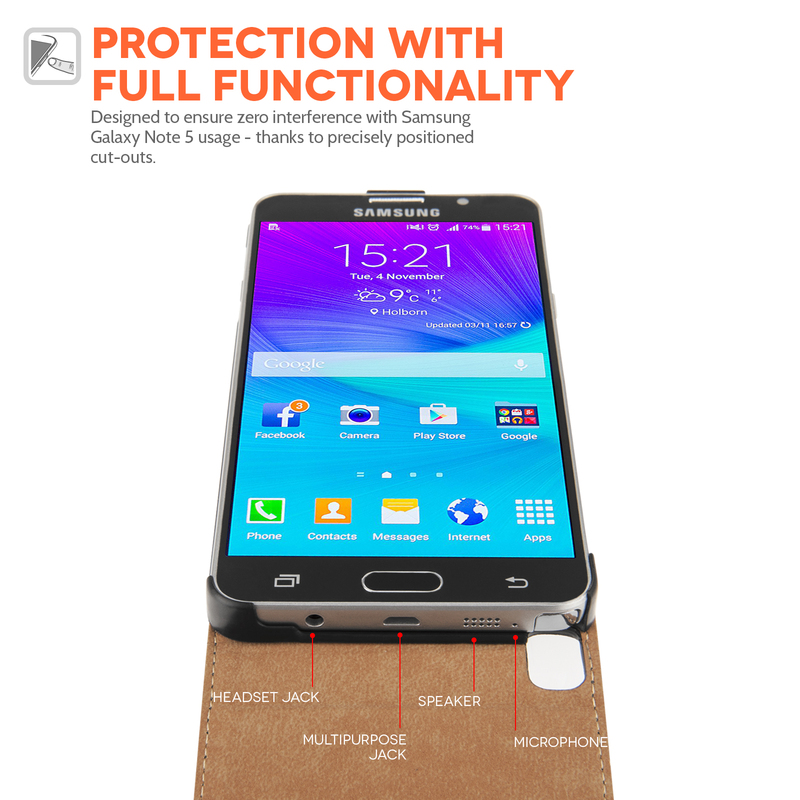 The flip design offers wraparound protection for all parts of your mobile when not in use. 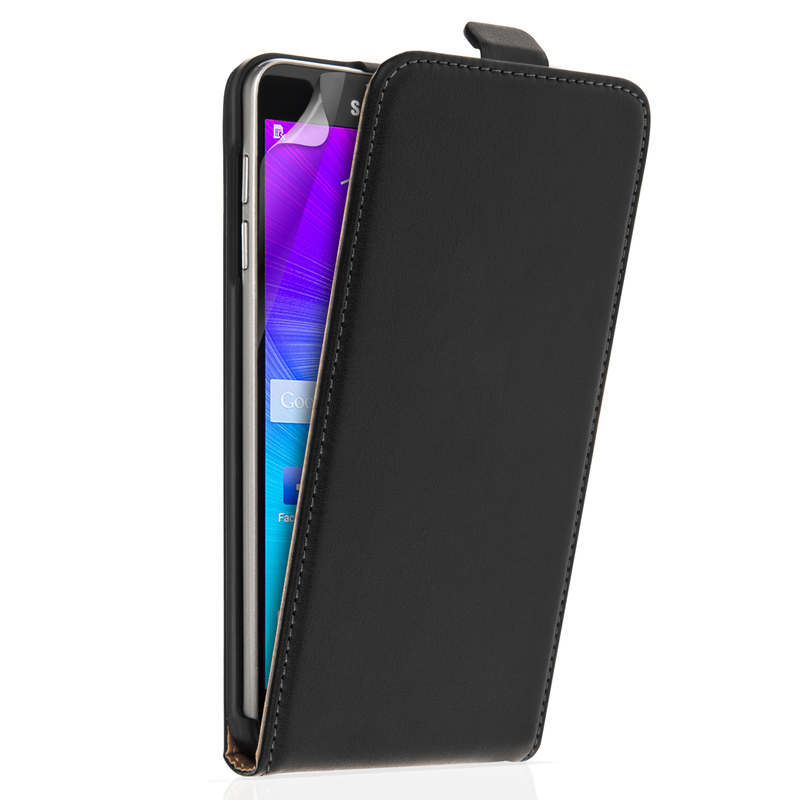 This case is laser-cut to follow the contours of your device precisely – with accurately-positioned cut-outs for the camera, ports and functions. 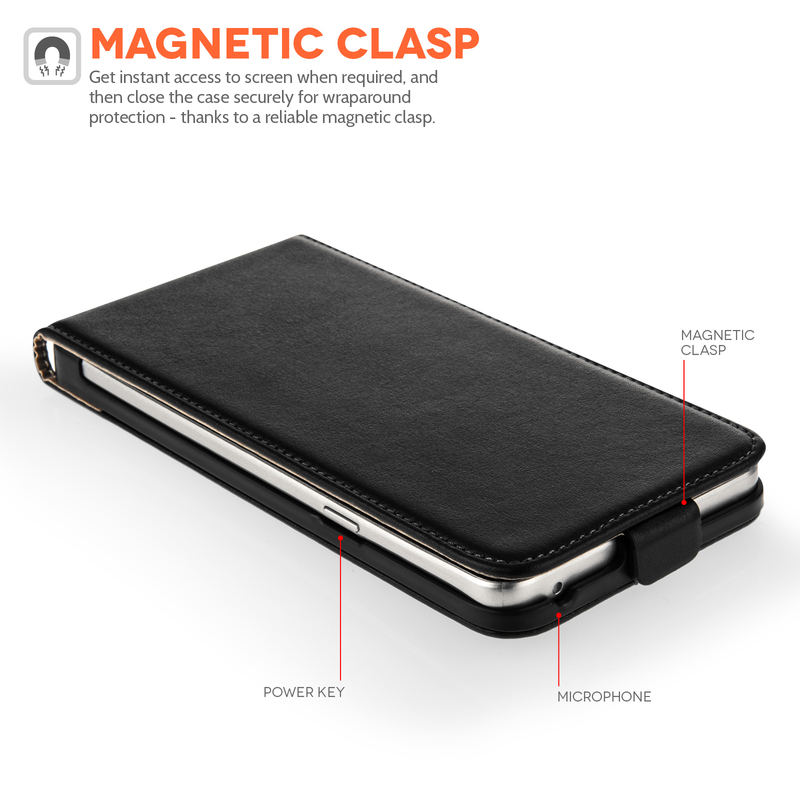 Your phone is suspended in place with a secure internal cradle whereas a magnetic tab ensures the case remains securely closed when your phone’s not in use. 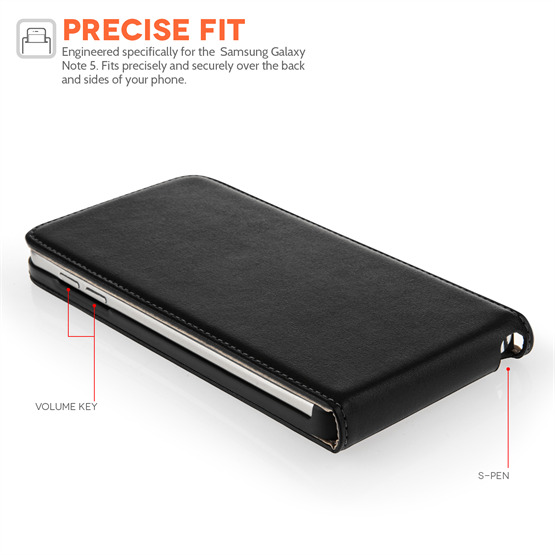 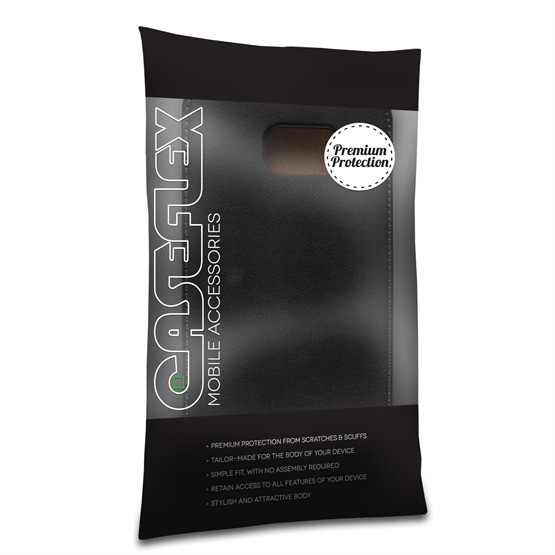 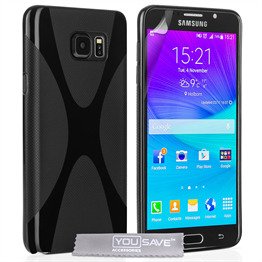 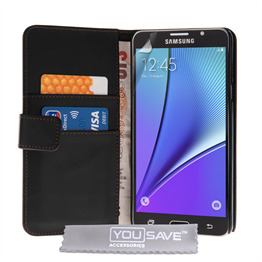 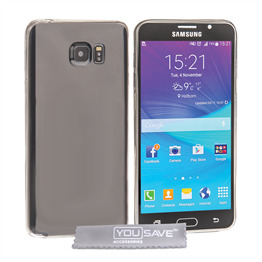 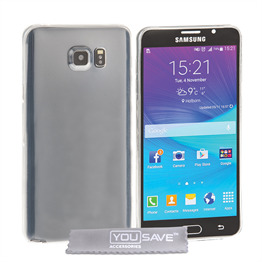 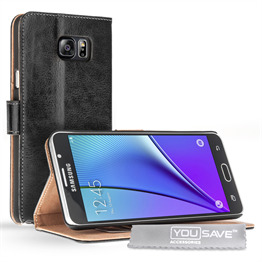 This Samsung Galaxy Note 5 leather cover is also provided with a free screen protector.